The West End Food Pantry is located in the Eldred Township Community Center at 516 Kunkletown Road, Kunkletown PA 18058 and open for distribution the 1st and 3rd Saturday of each month with hours from 9am-12pm. The Pantry serves low-income, hungry families no matter what circumstances have led them to needing food assistance. There are so many local residence that just can’t make ends meet on a weekly basis including many that have unexpected health or job related circumstances, disabilities, and a growing elderly population living on a very small fixed income. We do not want anyone to go hungry or have to worry about where his or her next meal will come from. 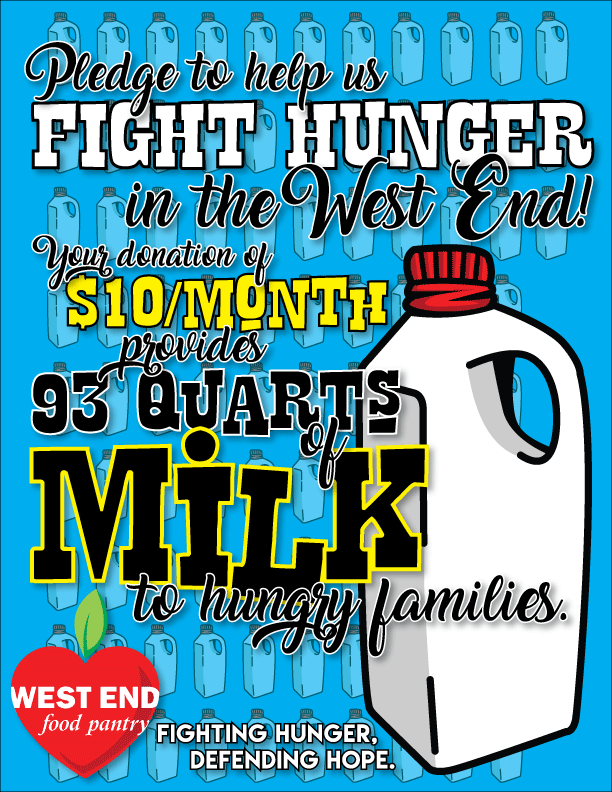 The West End Food Pantry is a 501C3, donation only/volunteer only organization that feeds 500+ families per month. Donations go directly to purchasing truckloads of food. In memory of my best friends dad. My love and prayers are with you forever. You folks are awesome! Keep up the great work. God bless!